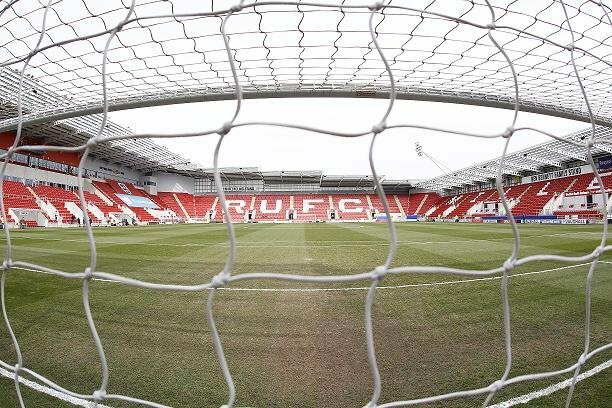 Rotherham United welcome Leeds United for their fourth League visit to the New York Stadium. The pair last met at the New York Stadium in November 2016. Chris Wood opened the scoring for the visitors and just before the thirty minute mark the Millers were down to ten men after Peter Odemwingie saw red. Souleymane Doukara sent Leeds in at half-time with a two goal lead with Richard Wood getting a consolation for the hosts four minutes from time. April 2016 at the New York Stadium was a game that had a bit of everything in it! Steve Evans came back to the stadium for the first time as an opposition Manager and Neil Warnock, the former Leeds Manager, was in charge of the Millers. Lee Frecklington opened the scoring for the Millers on twenty-seven minutes. The second half saw Matt Derbyshire red carded for a supposed foul on Gaetano Berardi and nineteen minutes Leeds equalised after a Luke Murphy deflected strike beat Lee Camp. With a minute to go Marco Silvestri saw red for bringing down Frecklington and Greg Halford grabbed the ball and scored from the resulting penalty. Derbyshire had the red card rescinded a few days later. A live on Sky TV game game in October 2014 saw Mirco Antenucci score for the visitors on the half hour mark but goals from Alex Revell and Jonson Clarke-Harris, scoring his first for Rotherham, gave the Millers a two-one win. Although Leeds have beaten the Millers on Rotherham soil in the Carling Cup the last time they won in the league at Millmoor was in December 1982 when both sides were in the old Division Two. Mark Gavin scored the only goal of the game. The first time the pair met on Rotherham soil was in May 1921 when it was a two-nil win for the visitors. The game earlier this season at Elland Road was a two-nil win for the hosts with goals from Luke Ayling and Kemar Roofe both coming in the second half. The only card of the game was a yellow which went to the Millers’ Jon Taylor.